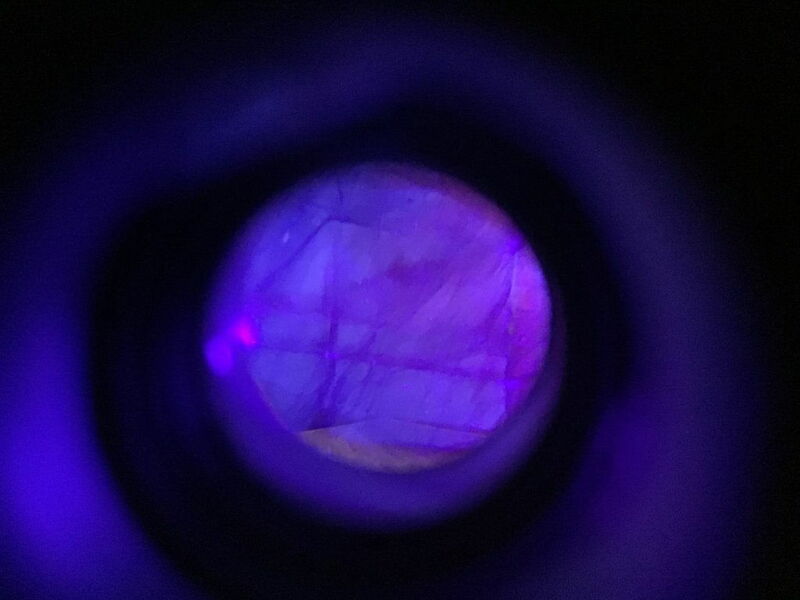 Playing with my uv light and thought I would share some information with everyone. 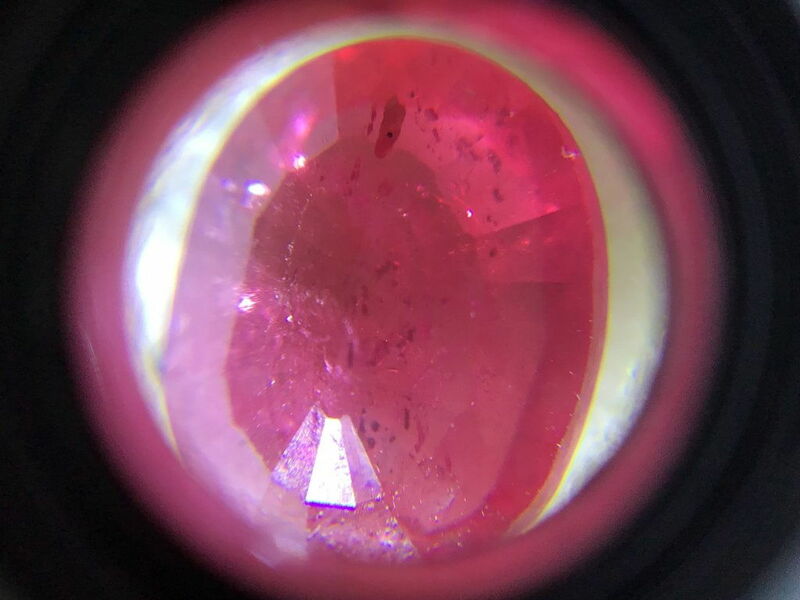 What it comes to rubies there’s one very easy way to tell if you have a Burmese ruby. 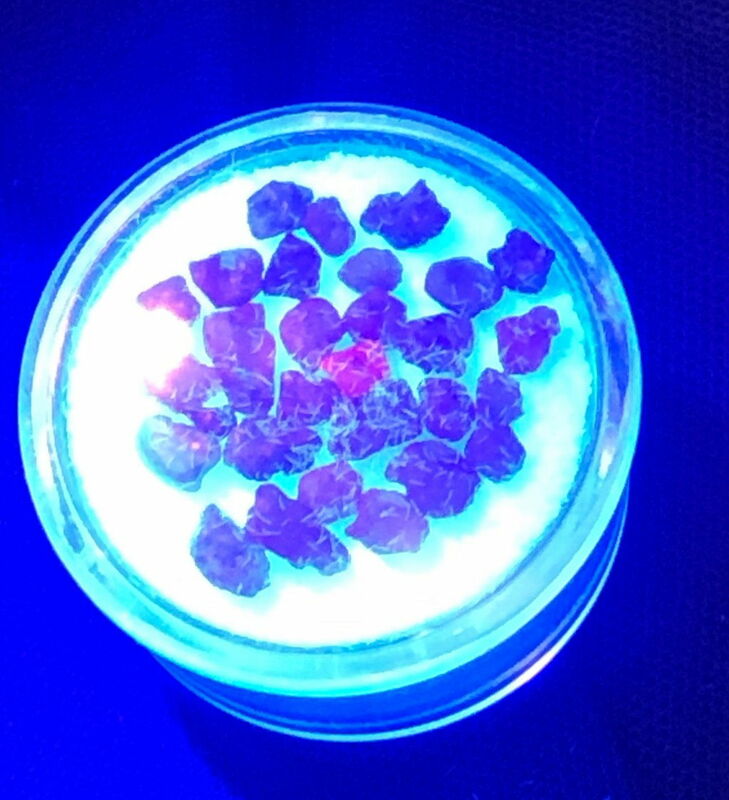 All rubies will fluorescence under a uv light but to differentiate the difference between Burmese, a natural ruby from somewhere else and a synthetic ruby you have to look for patterns in the stone and the particular colour it shines. Above is a parcel of small rough which has a bonus piece of burmese in the parcel the colour difference is extremely noticeable. I’ll put up some more photos tomorrow sometime showing glass filled and synthetic rubies. And the disaster as it comes out the furnace. Can you expand on this? Citations? Not under standing what creates the 'heat lines'. 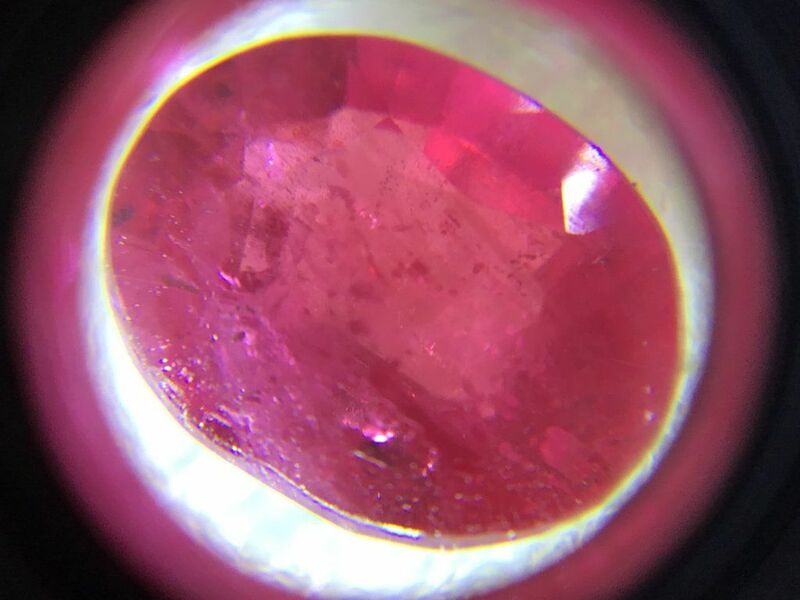 Interesting, have always kept well away from modified ruby, Sapphire though I believe is far more accepted as heat treated? 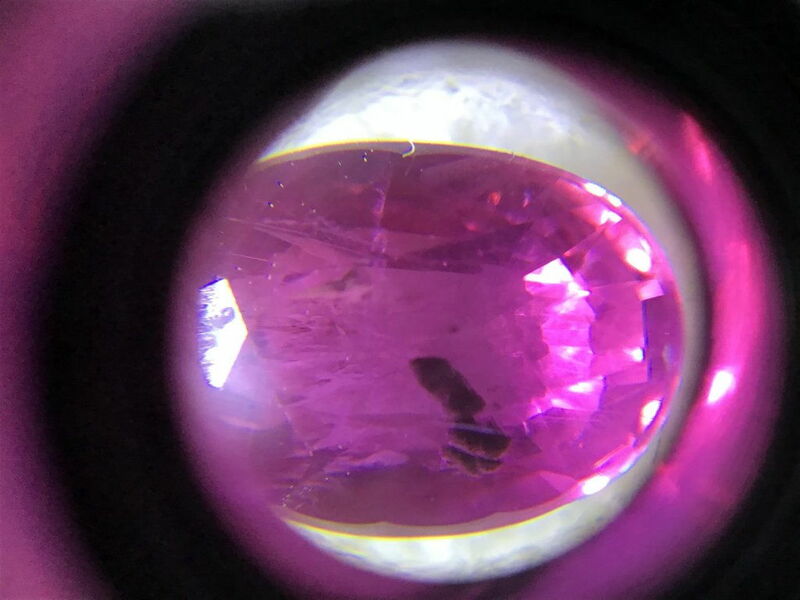 Do you know what temp your Sapphire examples were treated to, as I have read that this is fairly critical? From what I gather, rightly or wrongly, a temp of 1750C with a soak and slow cool produces the best results, but not many can afford a furnace that can do this, let alone get their money back on the investment when you add in electricity costs as well. Because of this, heat treatment to lower temperatures is common but produces poorer results?? Depends on what you are trying to achieve. Got a list of temps somewhere. A few ways of detecting heat treatment but I've never heard of 'heat lines'. 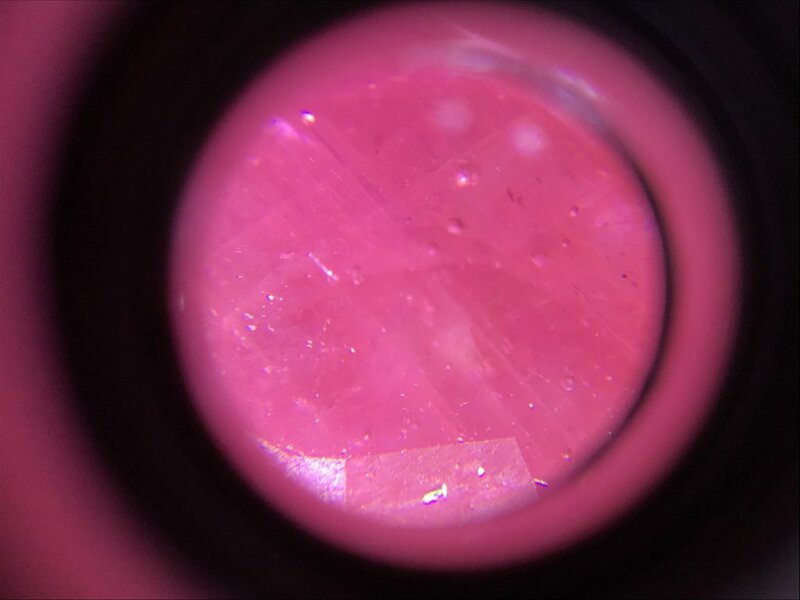 I believe this is the temp used for dissolving out inclusions etc and improving clarity as 1750C virtually allows the stone to re-grow in a controlled environment. Yes. But it depends on what you are trying to achieve by heating the stone. If I find that Lava plains saph I mentioned in Lefty's (Stones I've cut) which I gave to my daughter (so not holding my breath) I'll try and get some pics. It was a very ritulated/opaque stone. Sent it up to Sapphire to have it cooked after I cut it (I only did that one pre cut one for heating). Cleared it up immensely. 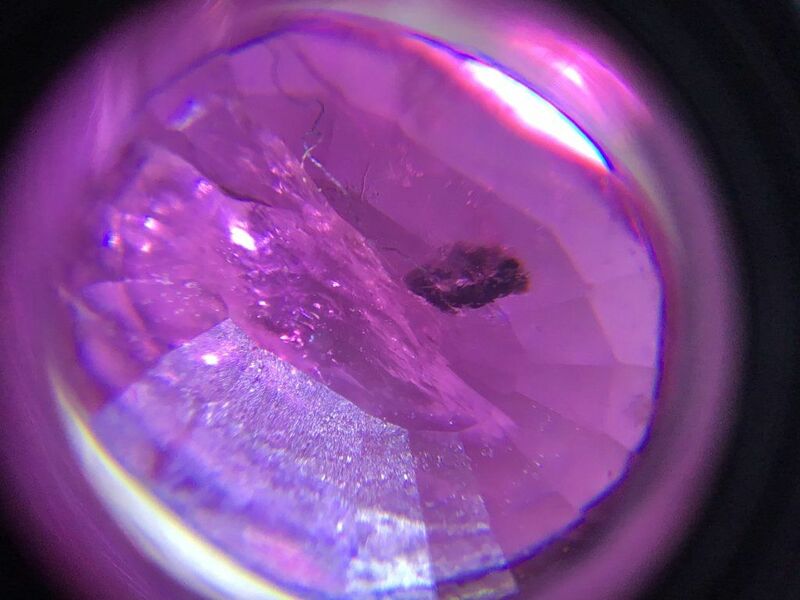 Some rutile left but unfortunately one of the inclusions ruptured near the surface and it ended up with a tiny pit on the table(?) surface that looked like a speck of dust. Post #6 My interpretation. Could well be wrong and happy to be proven so. Yes, heat treatment but not for clarity but to add filler and colour. Gotcha (I think, at least I hope). And thanks for putting up where you were getting the info from. An interesting read. In figure 7 I believe the stone on the left has lines because of how the diffusion atom have penetrated the surface layer adding colour, but at facet junctions you're see a double dip on the colour as two surface angles meet. So hence lines. In the stone on the right of image figure 7 my interpretation (as I read it) is the lines are banding created by different chemical make up as crystal grows. 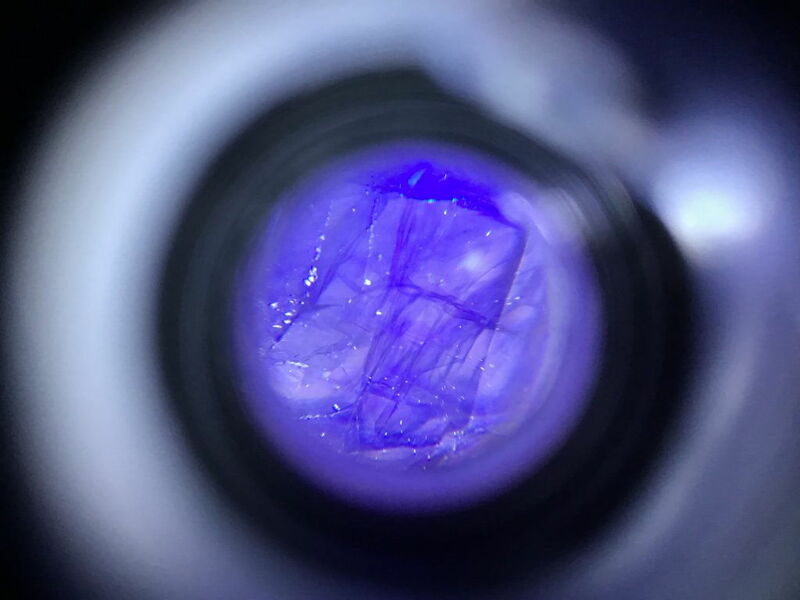 In that stone it looks like it is one side of the crystal. Yes, they have been heated but that's a secondary thing in these cases. This is only my thoughts TD. 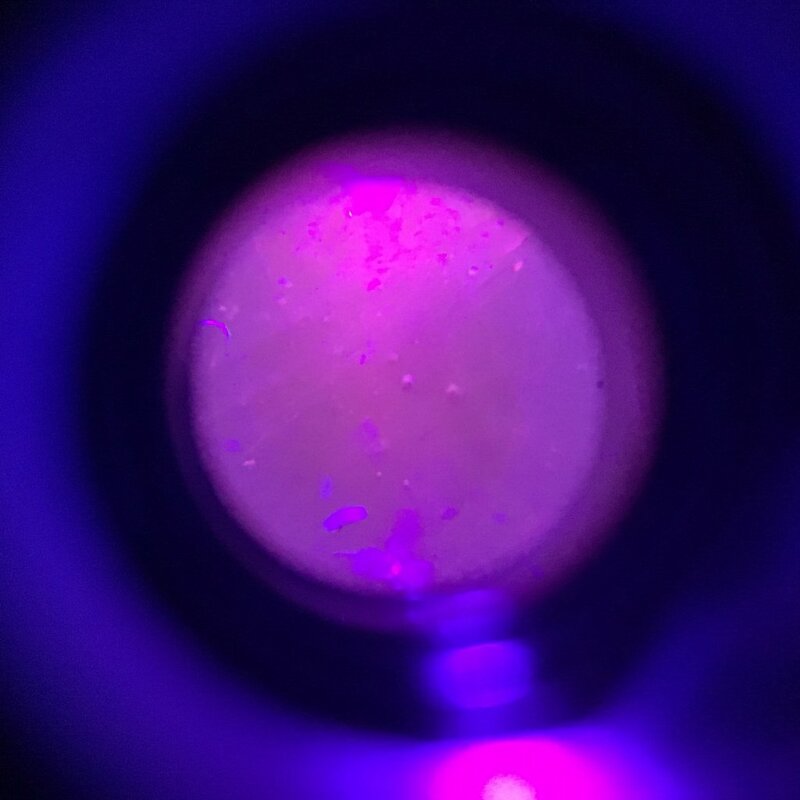 Also my interpretation of looking for evidence of heating only is heat stress fractures around inclusions, broken rutile needles and chalky looking areas under UV. Two of these I have seen on stone I have had cooked. I don't know of any others but that's not saying that is it all. .
As a side note any evidence of bubbles round or not is not good. I did google about that and corundum can have bubbles of CO2 but it read as it is fairly unusual. So I would be suspect that all those stones have been filled. Great photo's too. But I think you may need to try dark field photography for some of these images. I've been trying to get a set up going over the last couple of weeks but not getting the time. A relatively new type of heat treatment for those who are interested. Had to split the pdf. Quite a few images hence the huge file. Hmmm, need some time to digest this, certainly specialised gear to do 1500C+ at 900bar, not for the back-yarder! As for heat treatments only, it’s more accepted in sapphires than it is in rubies. As they’re the same family it shouldn’t be such a big difference but is. If you’re able to get a completely untreated stone that looks good at a decent price it’s worth it even if the cut is ordinary. In most cases you’re able to value add by getting the stone precision cut and while losing some carat weight. One of the ways to check if a bubble is air (gas) is to view it in 'dark field' lighting. Apparently, if gas, the bubble will be black. I haven't done this so can't verify it. But Dihusky may be able to confirm that being a photography bloke. I'm 'suspecting' it's filled with cobolt blue glass. Somewhere I have a similar image, if I find it I will post. So the blue of the glass adds the colour to the stone. 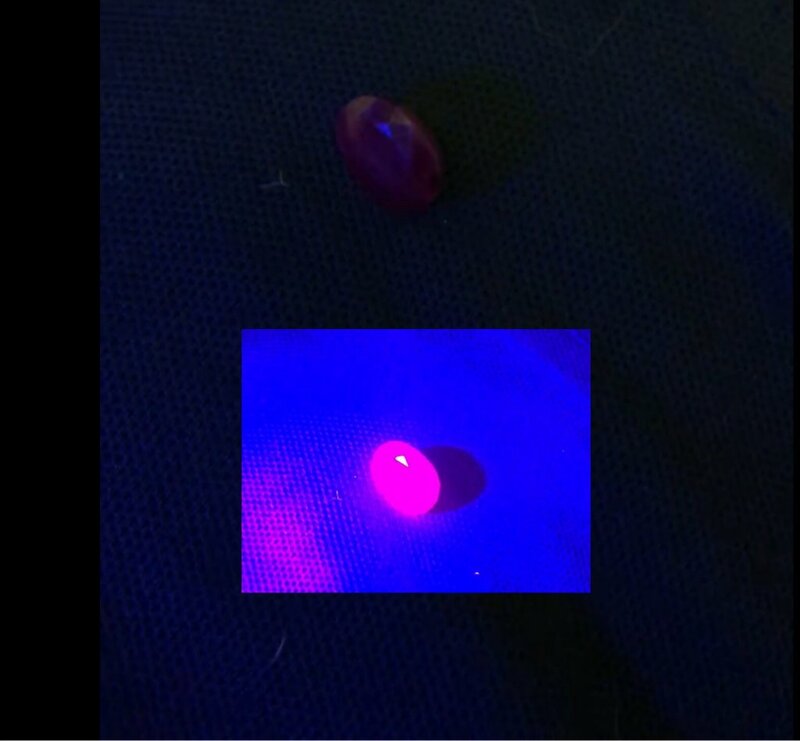 I (personally) just don't believe the stones have just been heated for clarity or colour. That pdf I put up shows pretty much the evidence I know of, stress (tension) fractures and crystal alteration. The lines do not mean they have been filled but bubbles is evidence and also blue flashing (which is in the video that's linked to post #5). To me that looked present in some of the images but didn't comment earlier as it's so hard to tell from an image. But you may know as you have the stone with movement. And please don't take what I say as gospel, I'm just basing it on personal reading/study I have done but the evidence is pretty consistent. I just haven't come across the lines theory before. So interested in what you have. No need to apologize for anything. You may be right and anyway that's what forums are for. It far more interesting when a thread like this is started, it always gives food for thought.